1) International Conference on �Number theory and Automorphic Forms� - 22nd December 2010. 2) International Conference on �Number theory and Mock - Theta unctions� � 22nd December 2009. 3) International Conference on �Number theory and Modular Forms� � 2oth , 21st and 22nd December 2008. 4) International Conference on �Number theory, theoretical Physics and Special functions� � 2oth , 21st and 22nd December 2007. 5) International Conference on �Number theory and Combinatorics� � 19th, 2oth , 21st and 22nd December 2006. 6) International Conference on �Number theory and Mathematical Physics� � 2oth , 21st December 2005. 7) International Conference on �Number theory and Fourier TechniquesModular Forms� � 2oth , 21st December 2004. 8) International Conference on �Number theory and Secure Communications� � 2oth , 21st December 2003. 9. 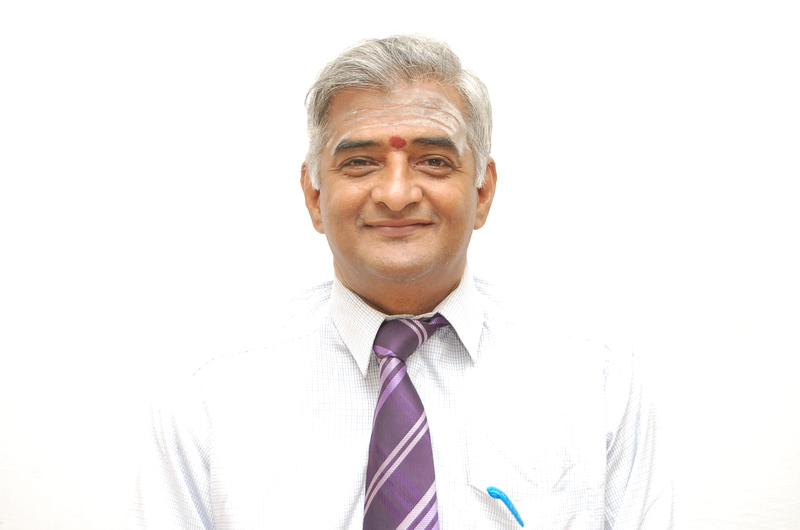 Invited speaker- 31st Annual Conference of Ramanujan Mathematical Society - June 18th - 21st 2016. 2) National Conference on �Vedas and Sciences� � February, 2010. 2.WAVELET SOLUTIONS FOR PARTIAL DIFFERENTIAL EQUATIONS AND APPLICATIONS- Funded by DRDO- (NRB-322/SC/13-14) (Co-investigator). Three dimensional quantum effects in nanoMOSFETs International Conference of Recent Advances in Microwave Theory and Applications, MICROWAVE 2008 2008 Ramesh, R., Madheswaran, M., Kannan, K.
A genetic algorithm-based artificial neural network model for the optimization of machining processes Neural Computing and Applications, 2009 Venkatesan, D., Kannan, K., Saravanan, R.
Optical Effects in the Characteristics of a Nanoscale FinFET. PIER B 2010 Ramesh, R., Madheswaran, M., Kannan, K.
Free convection in an infinite porous dusty medium induced by pulsating point heat source World Academy of Science, Engineering and Technology 2009 Kannan, K., Venkataraman, V.
Optical effects in the characteristics of uniformly doped nanoscale FinFET Journal of Nanoelectronics and Optoelectronics, 2010 Ramesh, R., Madheswaran, M., Kannan, K.
A WKB interpolation-Wavelet method for 3-D Numerical simulation of nanoscale FinFET photodetector including quantum mechanical effects Journal of Optoelectronics and Advanced Materials 2010 Ramesh, R., Madheswaran, M., Kannan, K.
Free convection in an infinite porous dusty medium induced by pulsating point heat source International Journal of Computational and Mathematical Sciences, 2010 Kannan, K., Venkataraman, V.
Optical effects on the characteristics of a nanoscale finfet Progress In Electromagnetics Research B, 2010 Ramesh, R., Madheswaran, M., Kannan, K.
Root mean square filter for noisy images based on hyper graph model Image and Vision Computing, 2010 Kannan, K., Kanna, B.R., Aravindan, C.
Optical characterization of biological tissues using nanoscale FinFET photodetector Journal of Optoelectronics and Advanced Materials 2010 Ramesh, R., Madheswaran, M., Kannan, K.
An effective algorithm for minimum weighted vertex cover problem International Journal of Computational and Mathematical Sciences 2010 Balaji, S., Swaminathan, V., Kannan, K.
Empirical Modeling and Simulation of Temporal Based Adaptive Mobility Model for MANET Int. J. Communications, Network and System Sciences 2011 Ramesh, R., Madheswaran, M., Kannan, K.
A contour based scheme for representing arbitrary shapes in digital images International Conference and Workshop on Emerging Trends in Technology 2011, ICWET 2011 - Conference Proceedings, 2011 Kanna, B.R., Aravindan, C., Kannan, K.
Image-based area estimation of any connected region using y-convex region decomposition AEU - International Journal of Electronics and Communications, 2011 Rajesh Kanna, B., Aravindan, C., Kannan, K.
3-D Numerical modeling and simulation of Nanoscale FinFET for the application in ULSI circuits.- Article in Press PhysicaE : Low dimensional Systems and Nanostructures 2011 Ramesh, R., Madheswaran, M., Kannan, K.
Self-consistent 3-D numerical modeling of a uniformly doped nanoscale FinFET using interpolating wavelets Journal of Computational Electronics, 2011 Ramesh, R., Madheswaran.M Kannan, K.
The wavelet methods to linear and nonlinear reaction-diffusion model arising in mathematical chemistry Journal of Mathematical Chemistry 2013 Mahalakshmi, M., Hariharan, G., Kannan, K.
Optical effects on the characteristics of GaAs nanoscale FinFET with vertical Gaussian doping profile Optik 2013 Ramesh, R., Madheswaran, M., Kannan, K.
Generalized tree of hanging stars International Journal of Pure and Applied Mathematics 2013 Sathiamoorthy, G., Raja Balachandar, S., Janakiraman, T.N., Kannan, K., Ayyaswamy, S.K. A computational model for enhancing recombinant Penicillin G Acylase production from Escherichia coli DH5? Computational Biology and Chemistry 2012 Premalatha, C., Aravindan, C., Karthikeyan, R., Kannan, K., Surianarayanan, M.
A new polynomial method for solving fredholm - volterra integral equations International Journal of Engineering and Technology 5 2013 Krishnaveni, K., Kannan, K., Raja Balachandar, S.
Approximate analytical solution for fractional population growth model International Journal of Engineering and Technology 5 2013 Krishnaveni, K., Kannan, K., Raja Balachandar, S.
9 Wavelet solution for class of nonlinear integro-differential equations Indian Journal of Science and Technology 2013 Venkatesh, S.G., Ayyaswamy, S.K., Raja Balachandar, S., Kannan, K.
11 Homotopy analysis method to water quality model in a uniform channel Applied Mathematical Sciences 2013 Padma, S., Hariharan, G., Kannan, K., Srikanth, R.
Newton's law of Gravity-based search algorithms Indian Journal of Science and Technology 2013 Raja Balachandar, S., Kannan, K.
X-Domatic partition of bipartite graphs Research Journal of Applied Sciences, Engineering and Technology 2013 Venkatakrishnan, Y.B., Swaminathan, V., Kannan, K.
Effectiveness of partition and graph theoretic clustering algorithms for multiple source partial discharge pattern classification using probabilistic neural network and its adaptive version: A critique based on experimental studies Journal of Electrical and Computer Engineering 2012 Venkatesh, S., Gopal, S., Kannan, K.
Hypergraph-based segmentation and edge detection in gray images Far East Journal of Mathematical Sciences 2012 Dharmarajan, R., Kannan, K.
4 Optimization of fidelity in digital image watermarking using a new genetic algorithm Applied Mathematical Sciences 2012 Venkatesan, D., Kannan, K., Raja Balachandar, S.
Approximate analytical solutions of two dimensional transient heat conduction equations Applied Mathematical Sciences 2012 Mahalakshmi, M., Rajaraman, R., Hariharan, G., Kannan, K.
Dynamic pattern recognition approach for partial discharge signature analysis using hidden Markov models: A critique based on experimental investigations International Review of Electrical Engineering 2012 Venkatesh, S., Gopal, S., Kannan, K.
Review of wavelet methods for the solution of reaction-diffusion problems in science and engineering Applied Mathematical Modelling 2014 Hariharan, G., Kannan, K.
Legendre wavelet method for the singular system of transistor circuits International Journal of Applied Engineering Research 2014 Venkatesh, S.G. , Ayyaswamy, S.K. , Raja Balachandar, S. , Kannan, K.
result 3 Document Solving fractional Riccati differential equation based on operational matrices Journal of Computational Methods in Sciences and Engineering 2014 Krishnaveni, K., Kannan, K., Balachandar, S.R. Development of K- means based SVM regression (KSVMR) technique for boiler flue gas estimation International Journal on Electrical Engineering and Informatics 2014 Ayyagari, R., Sivakumar, A., Kannan, K.
Influence of gate engineering on the optical characteristics of a double gate FinFET Optik 2014 Ramesh, R., Madheswaran, M., Kannan, K.
Equivalence of two widely researched problems in hypergraph theory International Journal of Pure and Applied Mathematics 2014 Dharmarajan, R., Kannan, K.